Just got home after another late-ish night in the workshop. What does one do when being plagued by unsettling thoughts or experiences? Put them on their blog immediately before they become repressed!!! On that note I would like to share with you now such an experience that involved working on a clients tree. 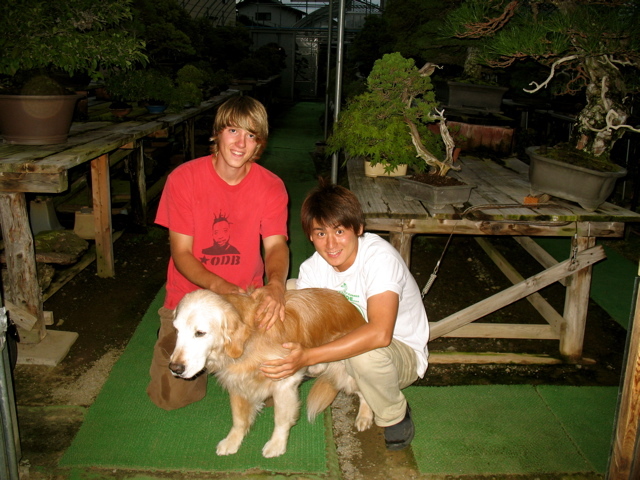 One day about a month ago my Oyakata (Mr. Suzuki) came back from an auction with a van full of new material. 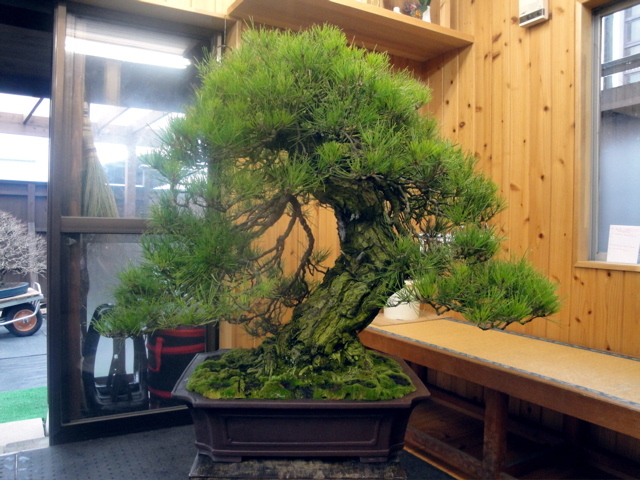 One of the following days we put this tree on display inside the main greenhouse (the nicest of the 4) keeping in mind that one of our big-spending clients would soon pay a visit and reap the benefits of Oyakata’s findings. Well, he really liked this tree, and was keen on making it his, which would mean more work for me! 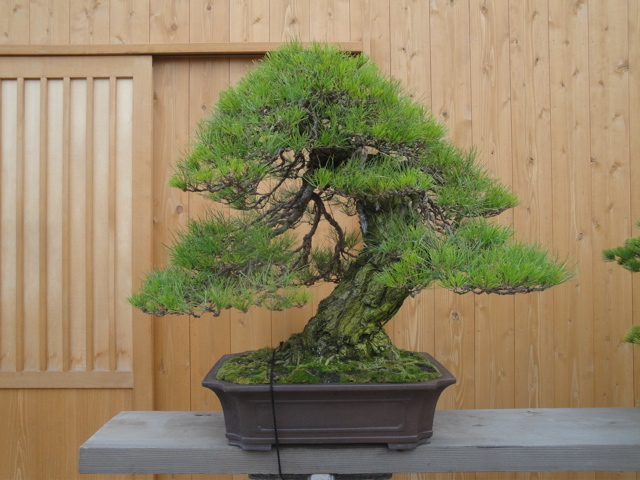 Having been de-wired soon after entering the nursery (very bad scarring on 80 % of the branches) I would need to be careful and not cause the poor old guy any additional stress. I didn’t want to over-work the branches with unnecessary wire; the branches were all there, they just needed some lift and more light to balance the overall strength. I remember the day I started working on this tree because they don’t usually happen like that day. Our client had made his way into the workshop (taboo in some nursery’s) and began critiquing my work before I had barely managed to put on a few pieces of wire! He went on with his dialogue, stating that if he was not satisfied with my work, he would re-set the branches himself; I smiled and tried to explain that I wasn’t close to being finished when Oyakata entered the workshop too. He gave me a slight nod of understanding and told Mr. Takahashi, “don’t worry, Matt knows what he is doing.” It was indirect but his words gave me the confidence. 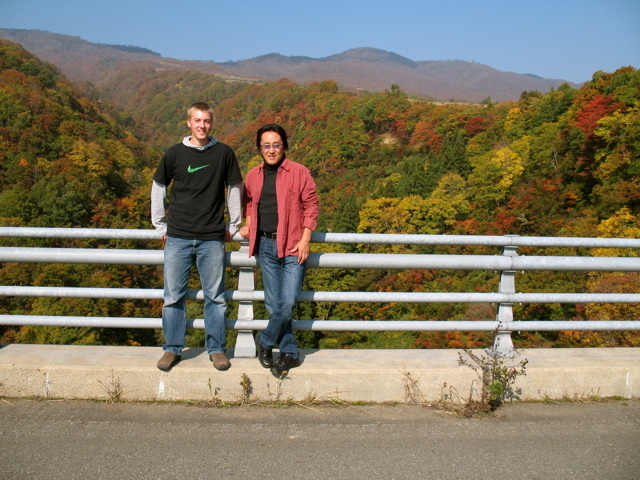 Later that night I made a phone call thanking Mr. Takahashi for a bottle of Ballentine, guess he had a good day. More to come soon keep me on your radar! 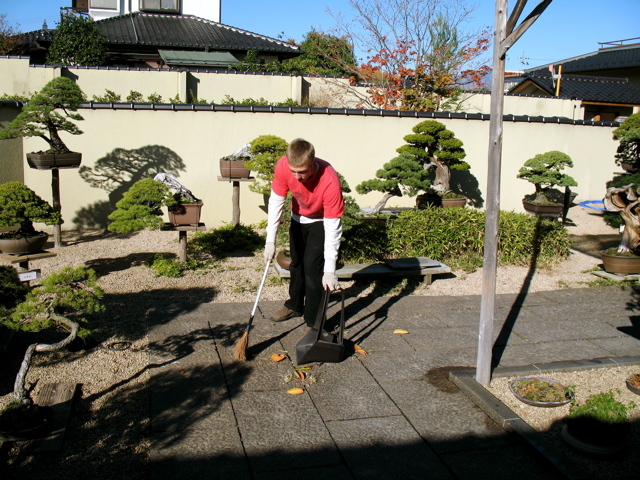 This entry was posted in Uncategorized on December 8, 2011 by reelbonsai. Browsing through the endless mess of photos in my library, I stumbled upon a few keepers from the beginning of my apprenticeship. My level of determination was matched only by my lack of hair… I would do anything to stay. 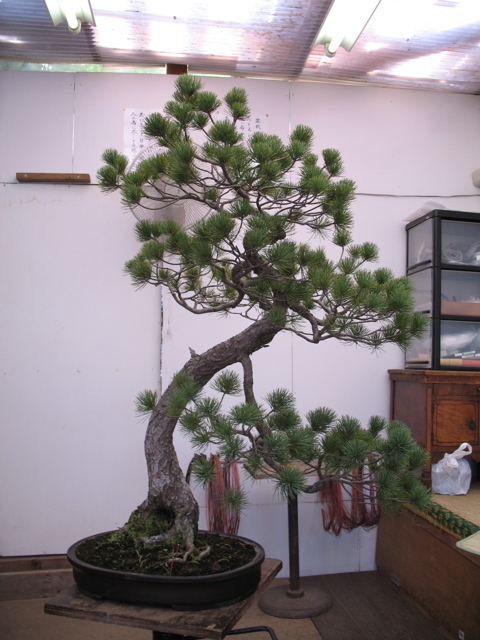 When I had proven my ability to handle the more simple yet important aspects of maintaining a clean and healthy Bonsai nursery/garden, I was tested with something that mentally challenges every beginner: wiring. Testing a first year student is part of the initiation; if you can show you are learning through the quality of your work, you will not be frowned upon… yet. First you need to master the basics (using the correct size of wire, elegant line, soft application, etc.) Then you will be expected to know correct branch placement in relation to the tree, does it look natural, balanced and convincing? 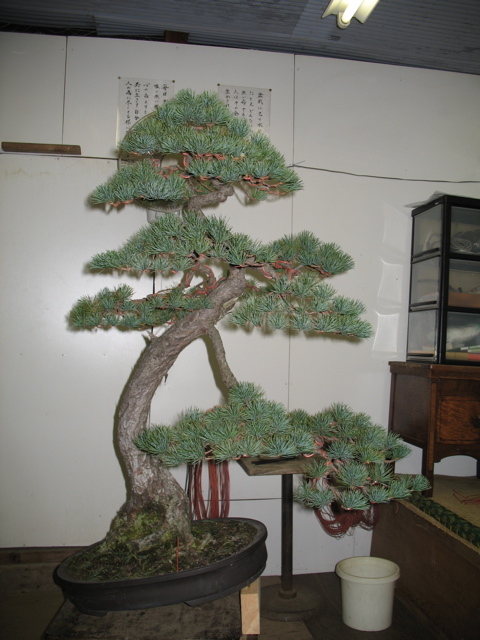 Here is an example using the first tree I ever wired in Japan, a Bunjin Japanese White Pine. Bunjin are often given to the new apprentice to practice on, as they tend to be very good at forcing the eye to see both positive and negative in the overall design, they can be tricky. Not too shabby, it was a start. Greatness in wiring comes from constant exposure to beautiful and simple technique, I have had many outstanding examples to study over the years; combined with patience, practice and a mind in the state of constant unrest this may (or may not) be achieved. This entry was posted in Uncategorized on December 4, 2011 by reelbonsai. Allow me to formally introduce myself! 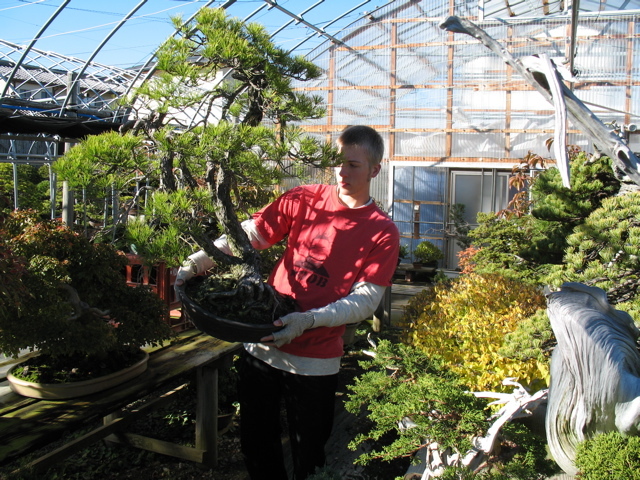 My name is Matt Reel, I am currently 23 years of age and come from Portland, Oregon of the U.S.A. My addiction to Bonsai began when I was a 14-year-old teenager; upon graduating high school, with the help of many great friends, family, and mentors, I somehow landed myself in a small town called Obuse, located in Nagano-prefecture, Japan. Since that fateful day 5 years ago, I have been eager to gain as much knowledge possible under the expansive wing of my master (Oyakata, or to an apprentice, very strict yet caring father figure/teacher) Shinji Suzuki. I have learned to fly and am now maturing in the last thralls of my apprenticeship; it is therefor my wish to share with you what I am beginning to understand after all this time. 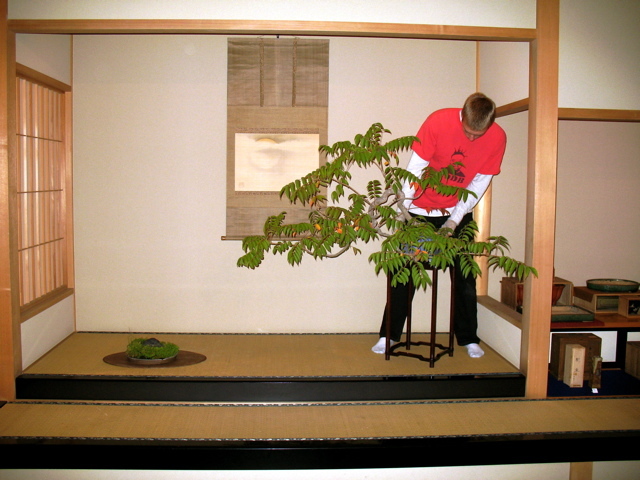 I come back to you now, old friends, so let us enjoy the wonders of all that is Bonsai! This entry was posted in Uncategorized on December 1, 2011 by reelbonsai.